The design acknowledges the brothers Manumamu and his teina Rangitauwawaru the founding tūpuna of the Te Roroa people. (see wānanga section) The mana of the brothers is affirmed by the two manaia within a circular/ disc form composed of three parts. The centre represents Te Korekore, the middle and outer parts represent respectively Te Po and Te Ao Marama. The manaia of the tupuna sit within both the realms of Te Po and Te Ao Marama in recognition of their role in the past and present. Manaia are symbols expressing the mana and tapu of chieftainship. 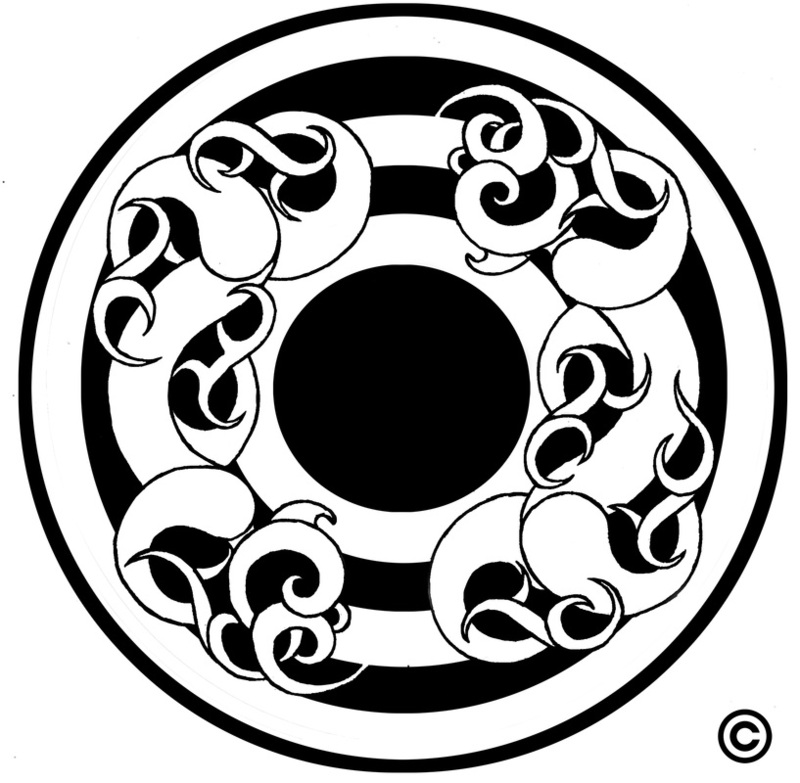 The circle / disc form is a symbol of wholeness, unity and regeneration, an aspirational imperative for the Iwi.